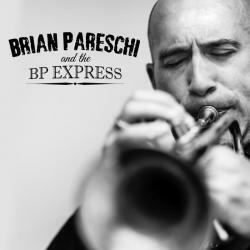 Brian Pareschi and The BP Express is the premier recording of trumpeter and composer/arranger Brian Pareschi's octet/nonet The BP Express. This mid-sized ensemble features a talented group of prominent New York-based jazz musicians and features the concerted, powerful, yet intimate sound and scope of the ensemble writing and playing. An eclectic mix of originals and standards embracing many styles and influences, this recording marks the starting point for this group. Here is a catalog of many of my original pieces arranged for The BP Express and the Brian Pareschi Jazz Orchestra, and other instrumentations available for purchase. This library includes many originals and select arrangements for ensembles ranging from quintet up through nonet, as well as full big band. Also I am proud to make available some of my brass quintet music. For a complete catalog of compositions/arrangements/orchestrations, please contact me directly here. Working on material for an upcoming recording with my quintet. I'm hoping to have this ready to go in the next month or two. I'm also planning to record the Brian Pareschi Jazz Orchestra soon, and am working on material for that CD as well. I am once again this year a member of the BMI Jazz Composer's Workshop this year, and am enjoying the ability to stretch and work on new material that is somewhat experimental. I'll have some audio clips soon for some things I've been working on....long forms and a suite. I'm just finishing a very long piece I've written for large Jazz Ensemble. It's 4 movements, and about 22 minutes long, and I'm looking to premier it sometime in 2018. Also, I'm in the process of applying for a Chamber Music America grant for my 9 piece group. This is a grant given to select composers, with the criterion being an extended work for 10 pieces or less, and including improvisation, be of substantial length, and be composed of a number of movements, or one extended work. "Besides playing tasteful trumpet, Pareschi writes well, whether riffing on bop-linked themes or summoning the image of a fast-moving train, as on BP Express.....what sets the BP Express apart from many other groups its size are Pareschi's splendid charts, every one of which exudes an irresistible charm and is well worth hearing and appreciating more than once. In its initial trip from the station, Pareschi's BP Express is definitely on the right track." 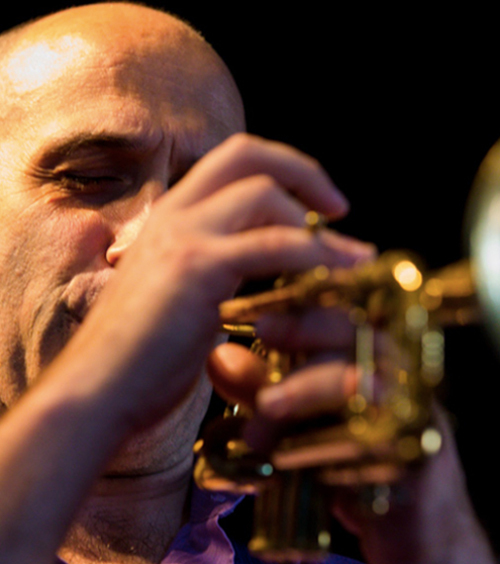 "What is it about Rochester, NY and stellar Italian trumpet players? A smoking, first call side man that’s finally stepping out in his own, this bigish band date has a distinctly New York flavor that puts you right on 52nd Street when killer sounds were pouring out of every club door. Armed with undeniable chops, Pareschi delivers straight ahead jazz that cooks and is all fire with no smoke. Great sounds for jazz ears looking for that new kick." Brian Pareschi & The BP Express. Does anyone out there remember the name Marty Paich? He was a West Coast pianist who assembled a ninepiece little big band and excelled at writing exclusively for his talented players. They also dabbled in established standards. Well, 3000 miles away in New York, trumpet player extraordinaire Brian Pareschi has latched onto that concept with his own octet/nonet. Most of the tunes are his original compositions, and like Paich did decades ago, Pareschi writes distinctive flowing melodies and turns over very generous solo space to his skilled colleagues. As for Pareschi himself, his tone can move from fiery to subtle and serene. But the common thread is his outstanding control and depth at any tempo. Incidentally, the standards here are “I Believe in You” and “I Cover the Waterfront.” They’re very different from each other, that’s for sure. But it’s nice to reacquaint with a couple of underdone, well-written tunes. All told, this is a very impressive CD which, in a just musical world, would sell a zillion copies! This is the premiere release from trumpeter Pareschi with his octet/nonet BP Express. Pareschi is a well-known player, sideman, composer and arranger, and sells his own sheet music and scores on his Web site. This nine-track release is efficient and sharp as a razor. The program is a mixed bag of hard-bop, Latin, African and two or three other styles, along with standards like “I Cover the Waterfront.” Pareschi’s full, sometimes crooning tone may make you think of Clifford Brown or Woody Shaw. Pareschi is obviously taking his new group out for a spin—looks like a successful maiden voyage. My new CD Brian Pareschi and The BP Express, has climbed as high as #21 on the JazzWeek charts. I'm looking forward to the next project, which I'm planning on recording in the spring. This first recording presents a combination of originals and standards, and features an all-star lineup of jazz musicians, and is now available on all major digital media and through this website. I am booking performances with this group The BP Express at clubs in and around NYC. Check the events page for more information. There are some new videos of recent performances on my you tube channel. You can check them out by clicking HERE. I am excited to make available to you a catalog of my music in pdf form. Many of the charts for The BP Express are available here, as well as my original library for the Brian Pareschi Jazz Orchestra, and much more. 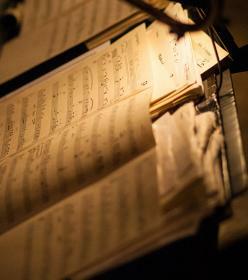 There are small group charts of all instrumentations and brass quintet originals and arrangements. I am working on making available all of my scores on the website. I recorded an interview with Joe Dimino for his Neon Jazz Interview series. The interview is featured on a well-received iTunes Podcast Channel and the Neon Jazz radio program running on the weekends out of Kansas City, MO. Here's a link to an interiew I did recently with Joe Dimino, running a weekly jazz show on saturdays out of Kansas City, MO. The interview date is 1/16/15. Famous Jazz Interviews is a wonderful podcast that features emerging and established jazz musicians, their lives, stories, experiences, and what they are doing. Check it out!